Five Night’s at Freddy’s has returned once again and just as always it’s beautifully creepy and just as willing to make us feel helpless against the lovable cuddly monsters that reside in Freddy Fazbear’s Pizzeria. Only this time, we arrive around the present day. Freddy’s is no more but the likes of Foxy, Chica, and even The Puppet have all all but gone, depicting the mysterious, unsolved tale of the former restaurant, closed under unknown circumstances. 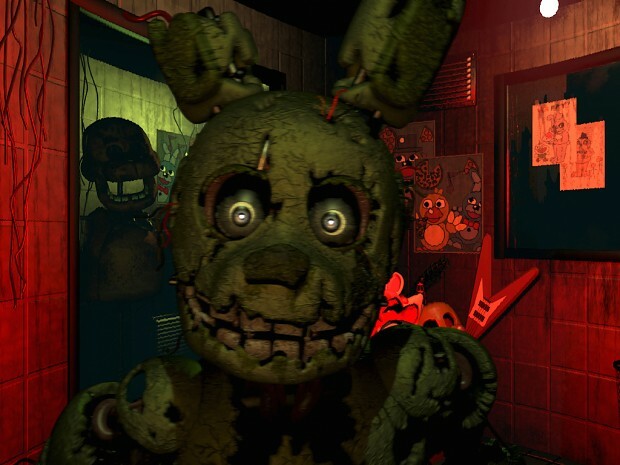 Once again we are joined by the lovably and scary animatronics from the previous games including a new character to keep our eye on, Springtrap! A recurring theme throughout the FNAF games is the feeling of helplessness. In the first instalment, we are given lockable doors to keep the critters away. In the second, the doors were taken away and we we’re left with a wind up music box, mask, and a flash-light for the job of staring down a long dark corridor and two vents. 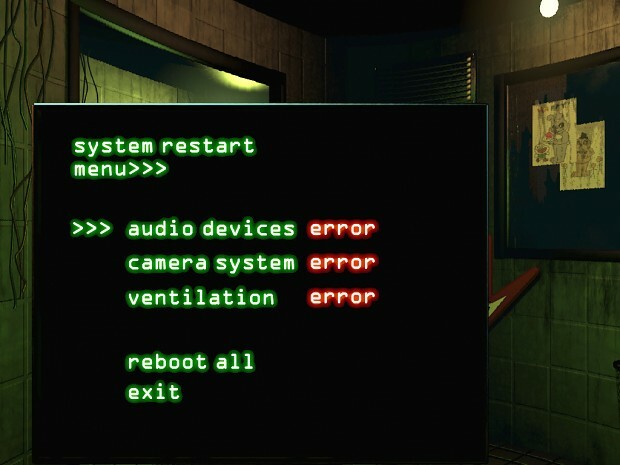 To me FNAF 2 had the perfect set up. there was possibly no way I could think of to improve the feeling of being alone and useless against the enemies. In the latest instalment we pretty much have nothing to help us. OK maybe not nothing at all but the mask, torch and music box are all gone. With losing the wind up box we almost lose that sense of panic, as we had to keep control of it to ward The Puppet away. In this game, the items we need to keep on top of are the camera, audio and ventilation systems. While this gives us the reason to juggle problems and think of our strategy to stay alive, it doesn’t feel as though we have good reason to do these tasks. Although, in the previous game I knew that if I didn’t wind the music box up, the monsters wouldn’t be distracted and would come for me quicker, where as in our latest night shift when we do hallucinate being attacked by an old monster from the last games, some of the items you need to keep on top of need rebooting immediately. Once again the story of Freddy’s continues to unfold, should we wish to uncover it. We can play the nights through to the end without glancing at anything and without even knowing a story ever existed. However, after we die we, once again, are brought into an 8-bit recreation of the original Freddie’s restaurant. for those wanting to be told more about the back-story, here is where you really need to explore and look for clues about how to unlock more or the story. If you don’t follow Freddy and you go down to a hallway with a long table at each side, you will see a clue as to how you can uncover more. Each clue will give you a task to undertake back in the security room when playing the main game. Once the task is done you will be taken back into the 8-bit world in which you will be able to take on the roll as one of the animatronics as you perform the everyday job they once had before the restaurant went into decline. Without leaving you with spoilers or ruining the ending all I can tell you is that in each of these mini games, there is a secret way to get out of the room. You need to explore without going to the exit in order to find a crying child and give him a birthday cake. This is the case with every character in order to unlock the ending to the game. This, however, can only be done if you find the secrets in the already slightly secret levels. For every monster there is, you have to find the crying child and give him/her a cake. This can only be done if you find the right place in each mini-game where you can jump out of the room. It’s hard to believe that FNAF technically only has one monster. Springtrap is the only creature you really need to worry about in this instalment as he is the only one who can physically attack you, all our other friends are simply in our mind and attack us in ways they either make us jump or hinder us, such as our vision. There are many occasions in this game that can bring forth a jump scare at any moment but it’s a nice new touch to have the puppet’s face right in front of us no matter where we turn, obscuring our vision, rather than jumping towards us. For me, the fact that FNAF 3 wants, not only to make me jump but to creep me out, makes me feel this game is much more horrifying than the last two. It’s easy to have something go “boo!” but to have something just stare at you and make you uncomfortable feels scarier to me. the only creature I don’t find as scary as the previous monsters is the new Springtrap. 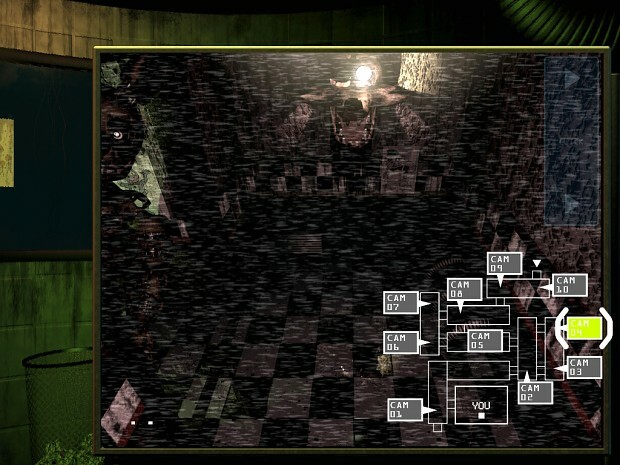 Foxy and The Puppet jumped right towards us, where as Springtrap seems to move slower and at a distance compared to these two. Who this new monster is though can all be answered in the secret mini-games. For those of us that dig deep into the story behind the mystery of Freddy Fazbear’s Pizzeria, FNAF 3 only adds to its story. If you unlock the ending, whether good or bad, there’s more to discover. The strange man in purple makes a return in the secret endings and we learn a little more about him but not enough for the tale of the games to end. It does have a nice way of ending, considering this game is a sequel, although all the questions a lot of FNAF fans have are still not yet answered. Who is the man in purple? What happened at the very beginning? Who is the man on the phone? I can only hope for a fourth instalment as I for one still need closure on those very questions. If this is where the franchise ends I do think the secret ending is a nice way to bring the series to a close, but a lot of theories we see posted all over YouTube will still be left open. Please Scott Cawthon don’t leave us hanging! This entry was posted in Uncategorized and tagged Five Nights at Freddys, Indie, Scott Cawthon, Steam. Bookmark the permalink.